I had a rare weekend off in August this year, initially I thought “I better try and fill that weekend and keep it open for a wedding..” and it reached about June and I decided to jump in and celebrate the time off with the girls and book something special for us. 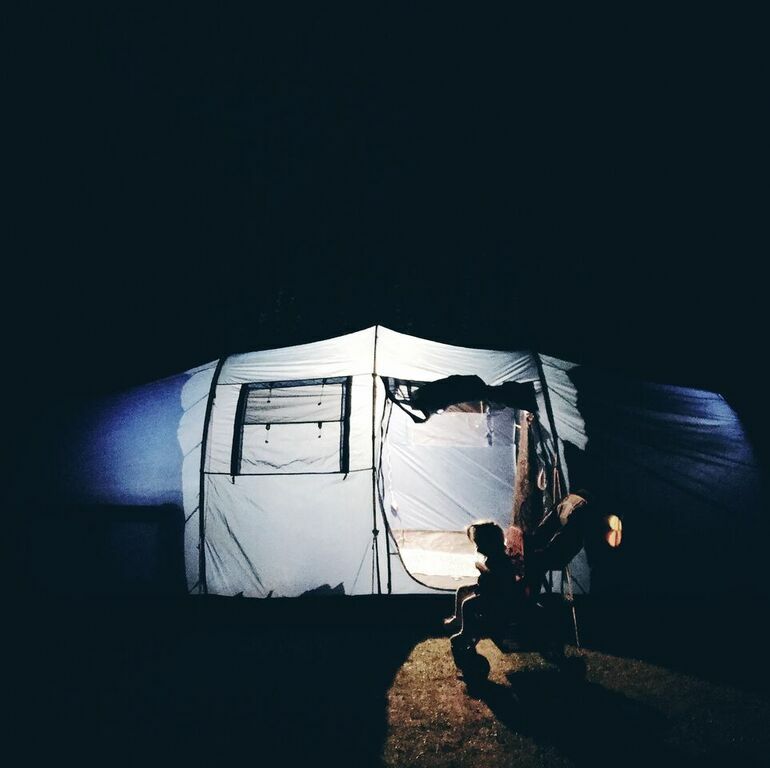 We have a pretty decent family tent that we invested in before Deershed Festival last year, and I decided that now was the time to take a proper camping trip. I didn’t want to travel too far - we only had six nights to camp, and Sylvie quickly gets restless - and decided to go to Brittany in France. I’d never been, as much as I’ve been to other parts of France over the years, and decided to find somewhere near Dinard and Saint Malo. 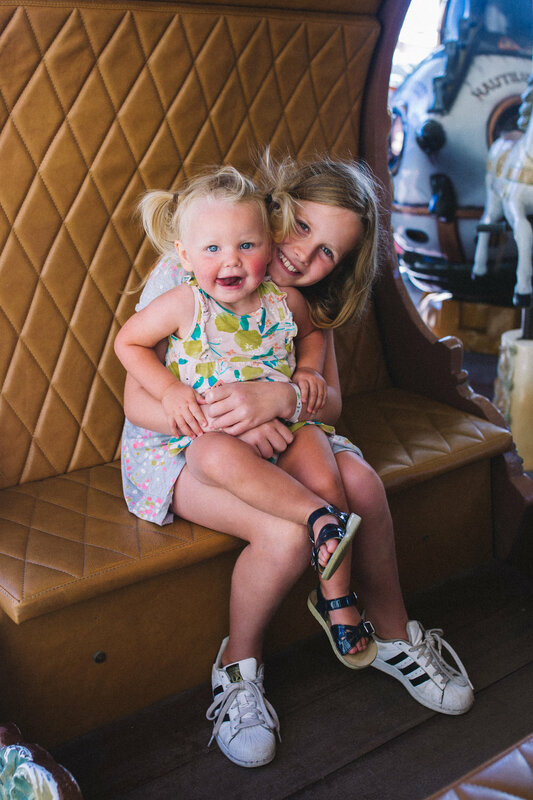 I set about finding a campsite that had some activities, a clubhouse, a pool and a play area in hope that it would be exciting for both Vivienne and Sylvie. 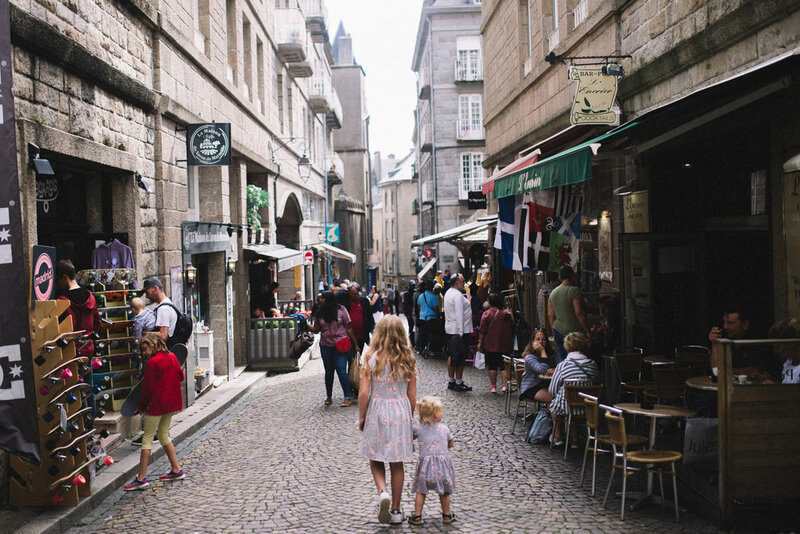 I booked Camping Longchamp in Saint Lunaire, which is a beautiful small seaside town with two beaches, a centre with shops, a market and restaurants and was a short drive from both Dinard and Saint Malo. It’s no secret that I absolutely love a list. For trips (especially with the girls) I start the packing list with weeks to go, then mull it over and revise it. I’m unashamedly excited by this sort of thing but it genuinely stops me feeling anxious and helps me feel in control, especially when travelling with the girls. Sylvie by far needs the most amount of ‘stuff’, and camping itself added a huge amount of stuff to the list.. think everything from the washing up bowl to outdoor picnic blankets. I’ll attach my list at the bottom of this post for any like-minded list lovers out there..
Luckily, we had most of the things we needed for camping already, and I really tried to only take what we needed and avoid taking anything we could manage without. I invested in an electric cool box because our pitch had electricity, and also a camping cupboard to store food. I didn’t want us all to get there and eat out every day because I wanted the girls to have a real camping experience, so I did a supermarket shop in England for pasta, sauces, risotto, porridge pots for the girls for breakfast, soy milk, snacks, etc which we took with us. My husband has been teasing me for being so excited about the electric coolbox but genuinely - it was amazing. It was honestly as good as a domestic fridge and it also plugged into the cigarette lighter in the car meaning that for the full driving journey down (5/6 hours in the England and even longer in France) we had chilled drinks and packed lunches for us all. Such a game changer. I grew up going camping and vividly remember travelling in a car full to the brim, and that’s exactly how it was. For the journey I packed a backpack each for the girls full of activities and snacks, and also kept blankets and pillows accessible so if they wanted to be tucked in and have a nap they could. The iPad was loaded up with Peppa Pig, and we downloaded Harry Potter as an audiobook for the drive. We stayed the night before the ferry in London with my friend Katie to break the journey up, and caught the ferry the next day at 10am from Dover to Dunkirk. The journey in France was a slog, but the girls did amazingly as we watched the clock trying to reach the campsite before the front desk closed for the night.. Vivienne was pretty tired with about an hour to go, which means promises of a late-night ice cream and an Orangina from the cafe bar when we got there. I ended up setting up our tent at 9pm with Sylvie in the travel cot with toys while Vivienne helped entertain her. We got the bare minimum sorted before racing down, ordering some treats for the girls and a big glass of white wine for me. We’d arrived! Sylvie was in the travel cot in my compartment in the tent while Vivienne and all our clothes were in the other. After a few nights we all ended up staying together in one - I’m not about to refuse sharing a bed with Viv while she still wants to.. The first day we decided to do a supermarket shop to set us up for a few days, then take it easy at the campsite and by the pool. I bought all the essentials.. incredible cheese, sausages, eggs, buns, wine and some fresh fruit. I was so excited to explore but I think it was good for us all to take some time doing less that day. Over the week we covered everything I’d hoped to. We went to a huge market in Dinard which was full of food and local wares.. (I bought a rotisserie chicken for lunch.. is there anything better? ), I had the chance to take everything a bit slower and take some photos too. We wandered into Saint Lunaire which is so beautiful, bought croissants for breakfast a few times, ate galette and mussels, took a day trip to Saint Malo and collected shells on the beach.. cycled along the coast to the next town along.. it was amazing. A bizarre moment happened one day, which was Sylvie spontaneously singing ‘ Frere Jaques’ as she toddled down the street.. when I sang it back to her she went on to sing the next few lines. We didn’t know she knew it! How strange that she sang it in front of us for the first time in France..! My Mum and Dad, having wanted to do their own road trip in France, were able to bring the tandem along for us. I absolutely love being on the bike with the girls, and it really added something special to do during our time there. Towards the end of the trip, Vivienne made friends with three Irish sisters and we lost her to playing with them in the pool and playing cards at their tent.. her making friends on holiday is such a joy and we made sure that they all swapped details and they’ve since been messaging each other through my phone. A week or so before we were due to go, I was up to my eyeballs in work and Sylvie had moments of being really, really difficult (oh, the toddler years..) and I really doubted whether it was a good idea.. I wondered if it was a step too far, and worried about whether it was too much to do on my own. Once we’d set up camp and we settled in, it was just perfect. Sylvie can be a handful but genuinely, she was fab while we were there, and really slept which helped! Vivienne was helpful, sensible and a joy - we had a few moments of tiredness/stroppiness but I think it’s to be expected with a busy holiday like camping and later nights than usual. I was do it all again in a heartbeat, and I hope my calendar allows us to get abroad again to camp in the next few years - if not I’ll definitely be doing a few nights in the UK somewhere with them. It was also one of the cheapest trips we’ve been on - I honestly think kids don’t care much for fancy places and camping is so, so much fun for them - it’s an adventure! Vivienne was off technology for the week and was all about more hand-on things like the pool, play area and playing on the beach with Sylvie. It’s all about making these sorts of memories, isn't it? Below is my packing list, as promised! 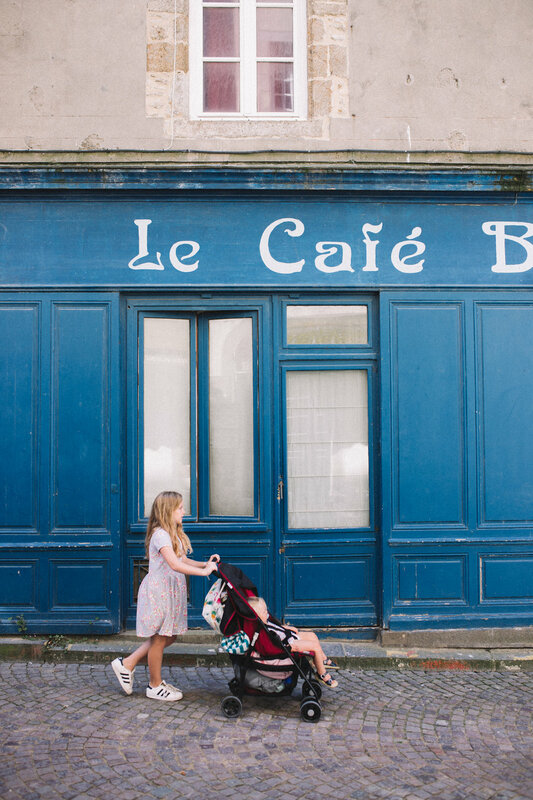 I would also definitely recommend where we stayed in Saint Lunaire, so I’ve linked it here.